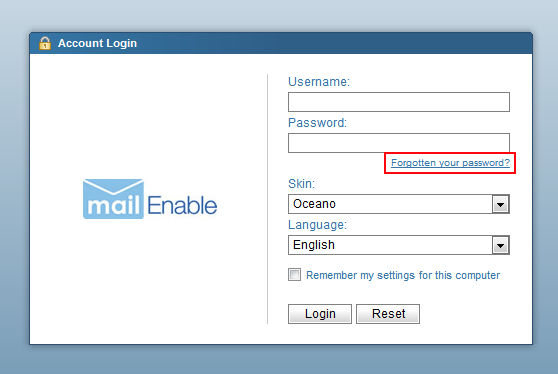 To enable this feature, login to your email account through webmail. 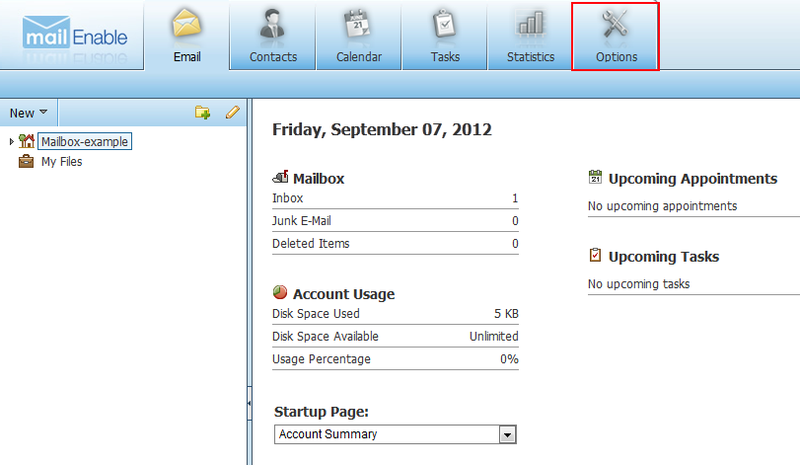 Select the "Options" tab to the top far right. Select "Password Recovery" the left under General. 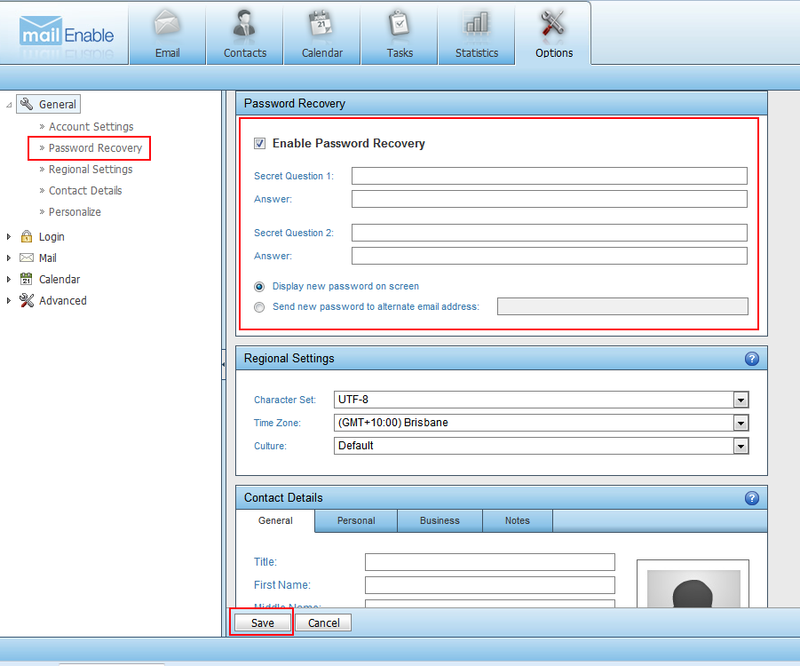 To the right, select the "Enable Password Recovery" checkbox and enter in your secret questions and answers. Finally, select whether you would like the password to be shown on screen or sent to a different email address when prompted. Select "Save" to save your settings.